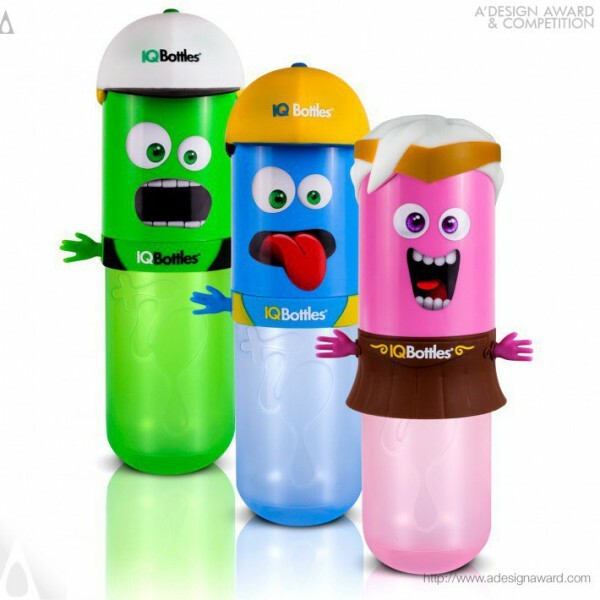 Peter Hanuska, the project leader of the highlighted work reusable water bottle by Peter Hanuska explains, IQ Bottles is a modern smart product suitable for everyday use, not only for drinking but also for playing. 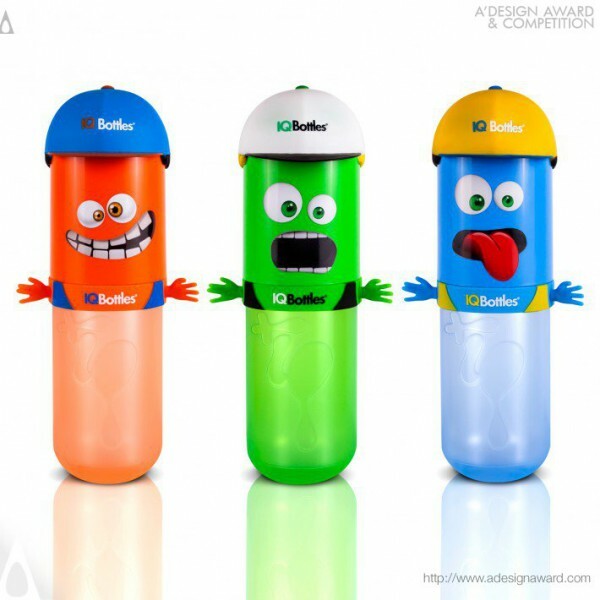 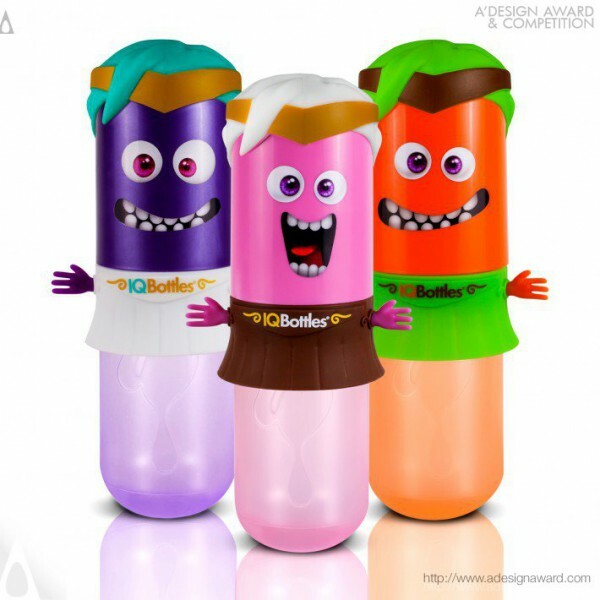 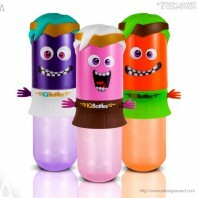 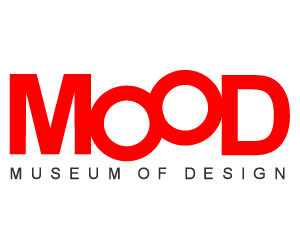 The bottles are designed to improve the children&#039;s attitude to a drinking regime in a playful way. 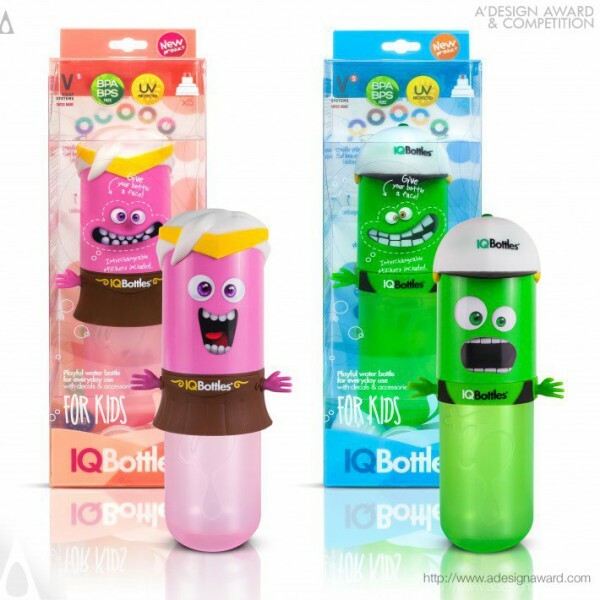 Children use their own creativity to assemble the final appearance of the bottle by combining replaceable components such as hair/caps, stickers, hands/skirts. 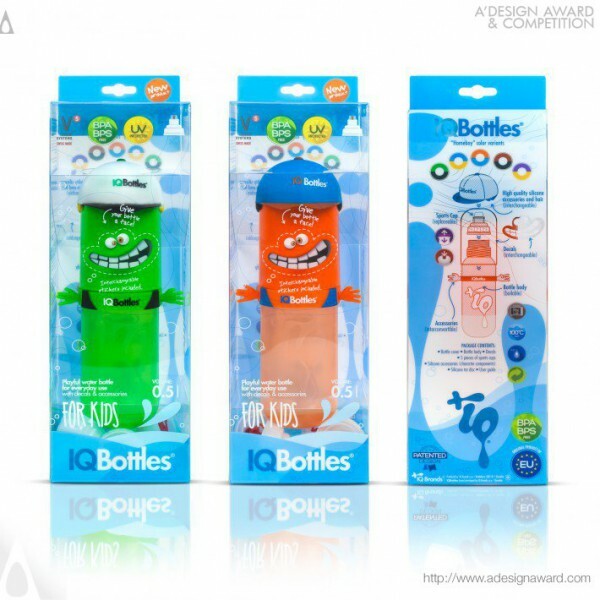 The body of the bottle and caps are available in different colors..